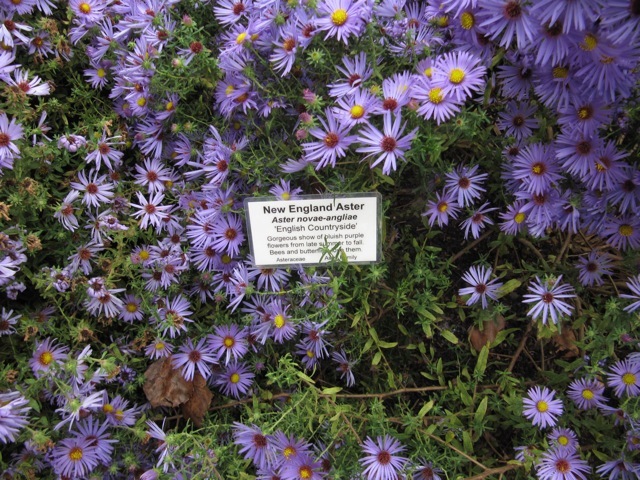 Characteristics: New England Asters are beautiful, easy to grow prairie plants prized for their masses of pink to purple flowers with bright yellow centers. Flowers are 1 to 2 inches in diameter and bloom in September and October. 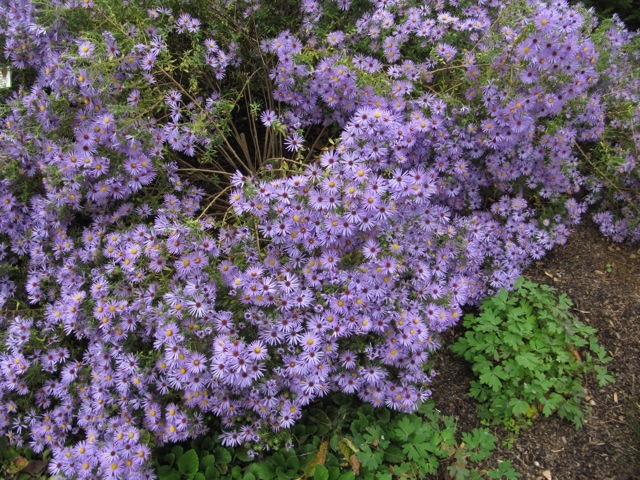 Wild New England Aster's mounds of pink to royal purple flowers are very attractive to butterflies especially Monarchs. 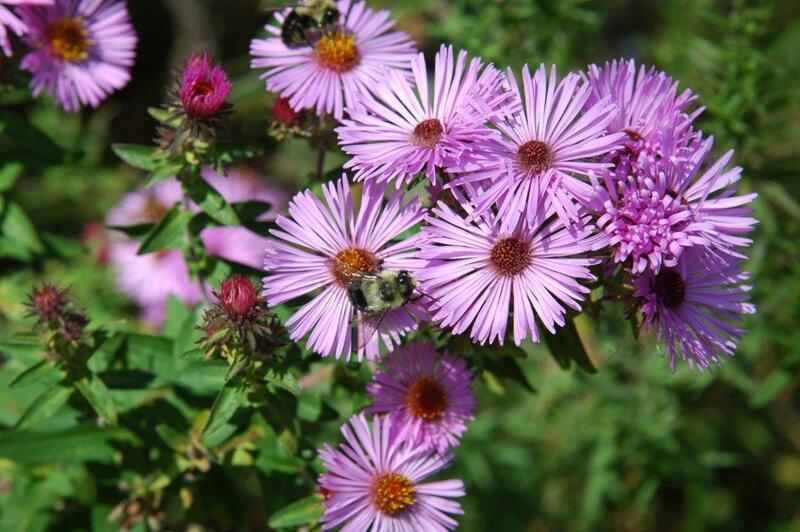 New England Aster plants grow 2 to 6 feet tall and work well in the background of the fall garden or it can be pinched back several times until midsummer for a stronger, more compact shape. It prefers average to moist soil and full sun. New England Aster seeds need 4 weeks cold moist stratification for germination. Notes: This plant is attractive to bees, butterflies and/or birds. Drought-tolerant; suitable for xeriscaping. Average water needs; Water regularly; do not overwater. Self-sows freely; deadhead if you do not want volunteer seedlings next season. Resistant to deer. Propagation: By dividing the rootball. From seed; direct sow outdoors in fall. Winter sow in vented containers, coldframe or unheated greenhouses. Seeds: Allow seedheads to dry on plants; remove and collect seeds. Properly cleaned seed can be successfully stored in cool indoors.